The royals tried the semi-evening long gown thing for Margaret's wedding, with hats. Would have been better to go the whole hog and have gowns, orders and tiaras IMHO. I've never been an admirer of the Queen's outfit for this wedding. The headpiece is atrocious even by 1960 cocktail hat standards, and although the torquoise was a beautiful shade the whole thing seemed to swamp her. The Queen is a petite woman and there was just too much material. I do think that Margaret was passionately in love with Tony, and that lasted for a while, though he was never faithful. However the story is that Margaret (who was thirty, a fairly old bride for those days) reacted to the news that Townsend was getting engaged to a very young Belgian girl. She was determined not to lose face and have people pity her and so decided to marry. On the other hand Tony wouldn't have proposed if he didn't want to wed her, I suppose. Some sources said she had a "pact" with Townsend that they would never marry other people. Fans mourning the loss of Vanessa Kirby’s electric portrayal of Princess Margaret in The Crown can rejoice: the BBC has commissioned a new documentary reexamining the ‘life and loves’ of the Queen’s late sister. As fans of Netflix’s hit series will know, the young Princess Margaret fell in love with her father’s former equerry, Group Captain Peter Townsend, when she was just 22, and was barred from marrying him due to his status as a divorcé. She instead married photographer Antony Armstrong-Jones in 1960, who she divorced 18 years later amid persistent rumours of affairs on both sides. The two-part series will include interviews with people closest to the princess, including her childhood friend and later lady-in-waiting Lady Anne Glenconner, and Basil Charles, the former owner of Basil’s Bar on Mustique, where the princess owned a holiday home. She was not barred from marrying him. She could have if she gave up her place in line of succession. She chose the perks and position over Townsend. She even had an odd idea that both would be "faithful" to each other if they did not marry other people. Some also argue that she wasn't all that into Townsend anymore when she could've married him. It's quite possible that the "forbidden" was what really enticed her, and once that was taken away, it just wasn't as exciting anymore. I also don't like how her evil side is downplayed, Craig Brown's statement sounds almost like he's trying to make Margaret's crazy side seem cute. ^ no, definitely no coincidence. She was jealous and even asked Townsend to announce his engagement only after she announces hers to Armstrong-Jones (Townsend wrote his news to M, so she'd hear it from him and not the news and then she asked him to delay his news so she could announce first), whom she married more out of spite and to save face than out of love. I think she just didn't want to be one-upped by Townsend and as said wanted to save face and avoid "spinster" like headlines (and the shyt press coverage Chelsy Davy received around May), so went ahead with the next best guy she could grab at that moment. I think it was this type of jealousy, rather than the type that comes from love/ love spurned. After hearing and reading several accounts on those events, that's my conclusion (for now at least - until sth more enlightening comes out!). Armstrong Jones had gotten a woman pregnant before the wedding (the story of his liaison with a couple as told by the Crown is true). The resultant child found out she was Armstrong Jones' daughter. If Margaret had married Townsend she might not have actually lost many perks. Maybe the compromise could be just keeping her out of the line of succession she was never going to remotely be Queen after her sister had the heir and spare. Very good docu, quite honest too. Also touches on subjects like the cost of the Winds and how the duchy of Lancaster was always the government's and closed deals and the such made it switch hands to the Winds in "the past century", so the 1800s. Only since then does the monarch live off of an estate that should be and historically always was the government's, i.e. the people's. Also touches onto Margaret's nasty side. PS and how when she was cut off the civil list Liz funded her from the duchy of Lanc (ca 200,000 a year plus I think more for wardrobe, her private secretary, her private sec also had housing and Marg lived at KP which was paid for by Liz - i.e. the people!so you take secondary "royals" off the civil list and add them to another source of money to appease the people, yet in reality the people pay either way. Obvs. Not like we didn't know that before, but nice to have it "confirmed" from time to time). So Margaret had to make do (a pauper's budget suddenly! Can you believe it? ), and couldn't fly to Mustique (too expensive to fly as usual 1st class for her and her entourage, which so far the taxpayer had paid for), so at the suggestion of friends she booked 3rd class. Someone flew off the handle as they couldn't possibly have princess M fly coach, so she was upgraded to 1st. And so until she died she'd always book "3rd class" or "tourist class" as the woman calls it in the docu and be upgraded to 1st. Nice. The Duchy of Lancaster goes back to a grant of land by Henry III to his son Edmund in 1256. The Duchy lands was in the hands of a Plantagenet heiress called Blanche who married a younger son of John of Gaunt. They were the parents of King Henry IV, so the Duchy has been in Royal hands since the 13th century. The Duchy has passed to each reigning monarch as a separate inheritance since a declaration by Edward IV in 1461. In 1760 (not the 1800s) when George III exchanged a Civil List from the government in exchange for Parliament settling his debts the Duchy's legal position as a separate identity prevented it from being surrendered with the Crown Estates. The Duchy is primarily a landed inheritance belonging to the reigning sovereign. It could never have belonged to the government primarily because, although there was a Parliament in 1461, there was no modern system of government as we know it today. Margaret was dropped from the Civil List because there was at the time a reorganisation of Royal finances going on. Ultimately this was to include the Queen agreeing to finance minor royalty from the Duchy, leaving the Civil List for more active members, she and Charles agreeing to pay income tax for the first time and paying for the restoration of Windsor Castle after the fire. There's been a lot of changes in the way the Royal family is financed in more recent years, including the replacing of the Civil List with things like the Sovereign Grant. However the Queen still provides for minor royals like her children, the Kents, Gloucesters etc from the Duchy of Lancaster. In this one friends and contemporaries talk. Made & aired during her lifetime. It also says that due to Margaret's scandals, most notably her divorce and then the continuation of her "lifestyle", people started to protest and question the financing of the Winds, i.e. are they worth it and why are the people paying for everything, and that's why these changes were made. It also notes that these questions (certainly at such vehemence) started with Margaret and last still to this day (i.e. 1997) in spite of the changes. ^ Thank you for the details on the duchy! Princess Margaret was given a lower level of education than the Queen to ensure she would not become a threat to her sister, a new documentary claims. 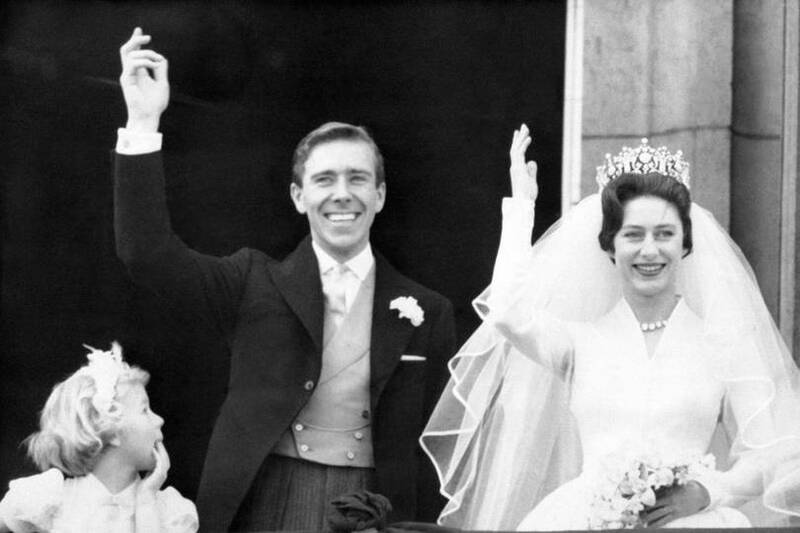 Lady Anne Glenconner, a maid-of-honour at the Queen's coronation, says Princess Margaret felt she was deliberately kept at an intellectual disadvantage growing up. 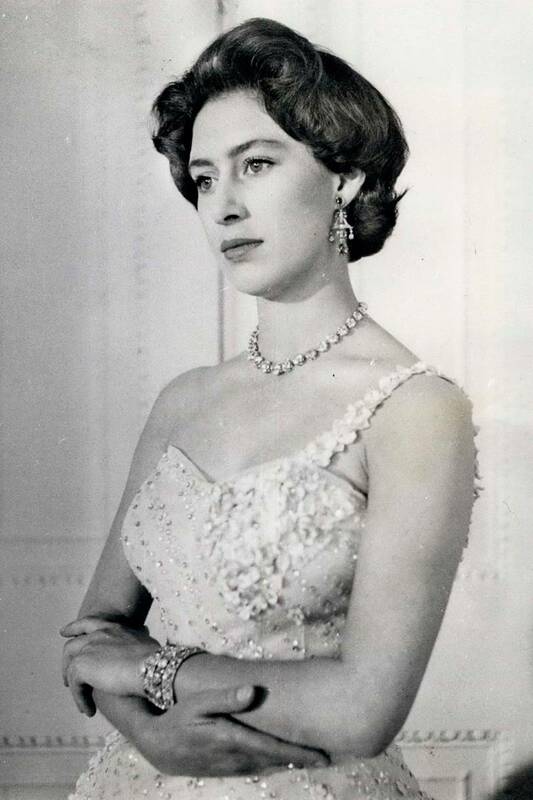 'She [Princess Margaret] always said, "I was never educated as well as my sister in order not to be a sort of threat to her", that's what she felt,' Lady Anne reveals in the BBC's Princess Margaret: The Rebel Royal. Lady Anne recalls how the different approaches to the princesses' education was apparent. 'The Queen had people from Oxford and Eton who came and taught her and Princess Margaret had a French governess and someone who taught her how to play piano,' she says. As future Queen Princess Elizabeth was also given lessons in constitutional history, while her younger sister was not. Fellow lady-in-waiting Jane Stevens says that the difference in education was the first indication to Princess Margaret that their lives were on different paths. Another close friend, Lady Jane Rayne, adds how this lack of education would impact Princess Margaret for years to come. 'I think she was afraid of being belittled, but what role can you have next to the Queen? I don't know,' she says. The two-part documentary, which starts next week, also explores the princess's relationship with Group Captain Peter Townsend, to whom she was engaged, and her first husband Antony Armstrong-Jones. Princess Margaret: The Rebel Royal airs on BBC Two at 9pm, 11 September. The dumbest reason ever for not educating your child. Not sure whether to believe this. Someone intelligent doesn't necessarily need a classical education to usurp their sibling and besides, she could have received an education later on when she was old enough to go for it herself, so keeping her back with this as reason makes no sense and is dumb as fck. Besides, Liz's education was pss poor, what joke of an education did Margaret receive? And it was even worse before Mary stepped in! The mind boggles. PS Wasn't this sth Margaret held forever a grudge over? That she was not really educated? I think it was the era. If QE wouldnt have been a future queen because of a brother neither sister would have got and education. QM doesnt seem like someone who would consider that important for a woman. THing is, that teh Queen Mother was of the view that she didn't have an education, but managed to land a prince (back then it was considered a sign of good character to land a so called 'good catch.') so she didn't think it would be needed for someone who was going to be Queen Regnant of Britain and the Empire. You know, I do believe that there is a reason that the House of Windsor is filled with idiots who can't make the right choices and that is because HM was not educated in a way that set a standard for her family members to follow. None of them have any pride in how they present themselves intellectually. Margaret's personality was set by then and it's easy to say 'just get it,' but she was raised not to be better than her sister; throughout history it has always been the role of the second born to be kept as in the shade as possible so as not to be more admired than the Heir/Sovereign. The Queen Mother made the biggest mistake in raising her daughter as an under-educated member of the gentry and it is certainly a huge failing that HM never really did much else to better her academic skills. I can never get over how the Queen Mother was allowed to be so whimsical and air-headed in the educations of her daughters. No excuse really. The media is going to be fixated on all three of them for more reasons than this. Just yesterday I was looking for a royal to have something really good to say about and couldn't think of a single one. It dawned on me I missed Lady Sarah Chato. I don't have any "insider" knowledge or gossip about who she is and what she does - but goodness, she comes across just right. She epitomizes the true aristocratic image. Elegant, low key, self-effacing yet so dignified. A very pleasant sight. Hope she is just as beautiful in reality as she comes across on screens. ^She's got a great reputation in the family - everybody seems to be very fond of her. The Queen in particular looks on her like another daughter. Yes, low-key, discreet, honourable and classy. ^ I often wonder how a woman who is such a great fan of Lady Chatto could give her consent for her grandson to marry a woman like MM?